Hannavy, John. Antoine Claudet // Encyclopedia of Nineteenth-Century Photography. - New York: Routledge / Taylor & Francis Group LLC, 2008. - Т. 1. - С. 302-304. Schaaf, Larry J. The Puzzling Chess Players. William Henry Fox Talbot Catalogue Raisonné. A project to create the seminal catalogue of the works of photographic pioneer William Henry Fox Talbot (3rd June 2016). Проверено 29 января 2017. 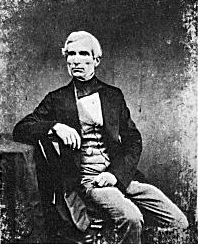 Schaaf, Larry J. Claudet, Antoine François Jean (1797–1867), photographer and inventor. Oxford Dictionary of National Biography, Oxford University Press. Проверено 29 января 2017. Antoine Claudet (1797-1867), Photographer and inventor. National Portrait Gallery, St Martin's Place, London. Проверено 29 января 2017. Անտուան Կլոդե, Ուիլյամ Բակլենդ, 1850-ական թթ. ↑ 7,0 7,1 7,2 7,3 7,4 Hannavy, John Antoine Claudet // Encyclopedia of Nineteenth-Century Photography. — New York: Routledge / Taylor & Francis Group LLC), 2008. — Т. 1. — С. 302—304. ↑ Gill, Arthur T. Nicholas Henneman 1813—1893 // Нistory of Photography : Журнал. — 1980. — № 4. — С. 313-322. ↑ Сань, Жан Портреты на любой вкус // Новая история фотографии. — Андрей Наследников, 2008 isbn=978-5-90141-066-0. — Т. 1. — С. 106. — 335 с. ↑ Это любопытно // Шахматное обозрение - 64 : Журнал. — 1987. — № 17. — С. 14-15.